Cause: Fundraiser sponsored by Cascade Bicycle Club to benefit the rebuilding of G&O Family Cyclery in Greenwood. Early in the morning on Wednesday, March 9, a natural gas explosion rocked the Greenwood neighborhood of Seattle, leveling three businesses and damaging many others. 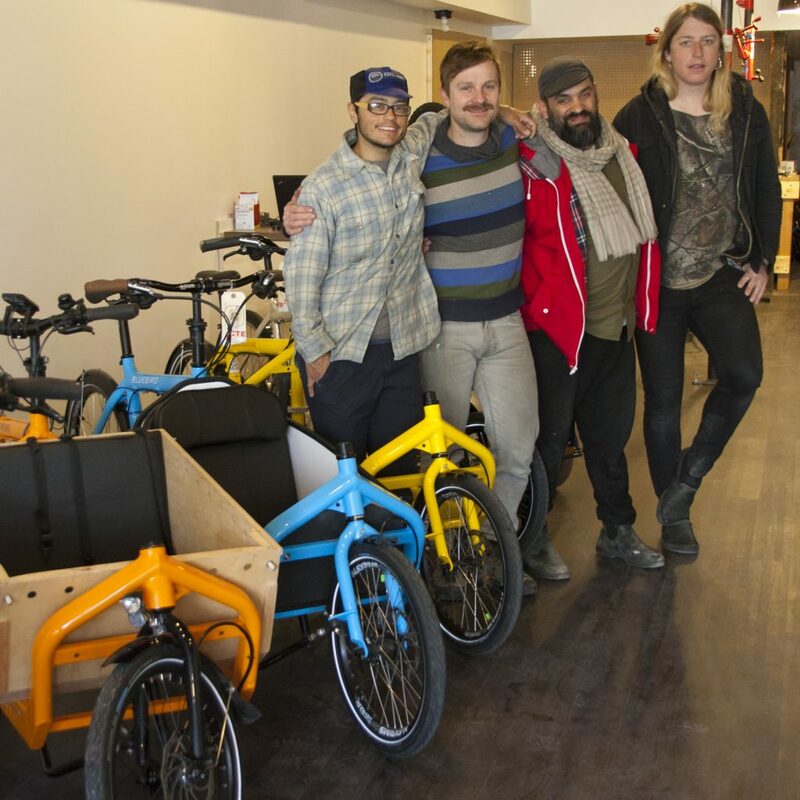 G&amp;O Family Cyclery, located adjacent to the explosion site on Greenwood Avenue between North 84th and 85th streets, suffered major damage and has been forced to relocate and rebuild. Bike Everywhere Breakfast for his work. By supporting bikes for families with kids and others who want to make biking a foundation of their transportation lifestyle, they help lower the barrier to biking in Seattle. The community is rallying around the shop with fundraising efforts. By mid-April, more than $43,600 had been raised through a GoFundMe account. You can still donate at www.gofundme.com/n7tmv4xg. A dollar from every pint, schooner and growler sold will support G&O. Committed to serving their customers and keeping their staff employed, G&O has reopened in mid-April in a temporary location at 8554-1/2 Greenwood Avenue, just one block north of its blown-out location. Davey and Tyler are working hard to find a permanent location in Greenwood. We will be supporting different nonprofits nominated by our membership during the last election cycle on the first and third Thursday of each month. 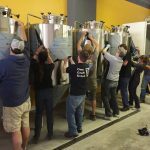 During each of these events Flying Bike Cooperative Brewery will be donating $1 per pint, schooner and growler sold to the nonprofit featured that day. Please note there will be no Member Happy Hour during these events. During the 2015 Flying Bike Board election cycle we had our membership nominate up to three different nonprofits for us to support throughout 2016. Due to the diversity of member nominated charities we designed a giving strategy that would allow us to support a large number of charities. This priority is where we came up with our Member Driven Community series. 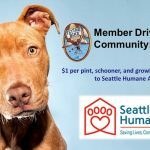 On the first and third Thursday of every month we will be featuring a different member nominated nonprofit at the brewery. We will have charity staff or volunteers on site to educate people on the organization’s mission from 5pm to 9 pm during the event. For the entire day we will be donating $1 for every pint, schooner and growler purchased throughout the night. It’s an opportunity to learn about how great organizations are changing the world and raise some money and a beer.